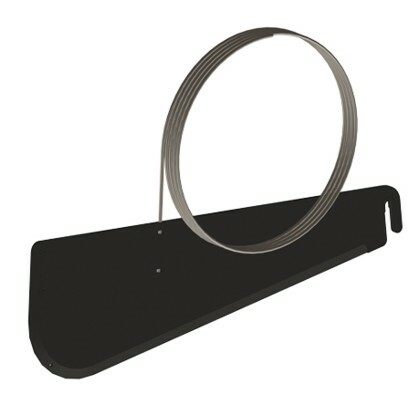 Nylon flag with stiffener. Standard type of Dive Flag used in the USA, red with white stripe, non-reflective. 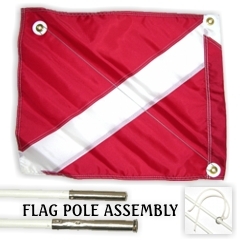 20 x 24 inch Diver Down Flag with a 2-piece pole, 6 feet long when assembled. Pole has a tie for securing flag. Can be used with the STS Dive Flag Mount. Related Article: DIVE FLAGS for kayak divers.